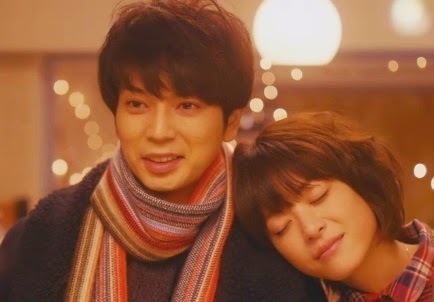 Love Situation: Hidamari no Kanojo (陽だまりの彼女) - Wouldn't it be nice? Hidamari no Kanojo (陽だまりの彼女) - Wouldn't it be nice? Warning in case you couldn't tell already: this will be a post of shameless flailing in a sea of tears. I will not even attempt to sound coherent. MILD SPOILER ALERT for the content below! Just finished watching this movie. I should probably have watched it a while back, when it was first available (All the PR going on around the time it first opened in Japanese theaters had me super bouncy-excited about it, but since I don't actually live in Japan, I had to wait... and then stuff happened... other Arashi things distracted me, you know, the usual... and I just kind of... forgot? ◑.◑). Bam, ladies. 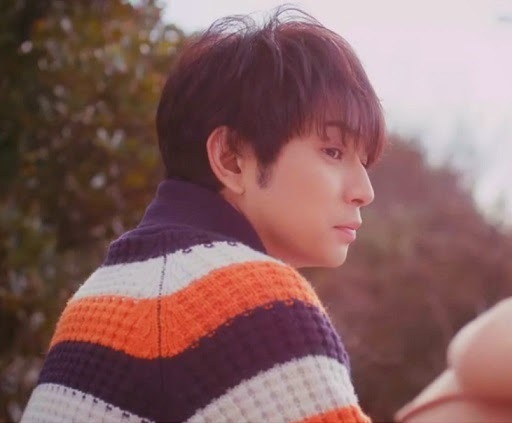 This is the Matsumoto Jun we know, the perfect-image-of-perfect who, not satisfied with winning the hearts of all his fangirls and fanboys, decides that he needs to challenge himself by treading into feline territory. Because cats totally would fall for him, too. I mean, this is Jun, people. The guy could gaze at a piece of barnacled rock and it'd probably break open to offer its heart to him. Just sayin'. 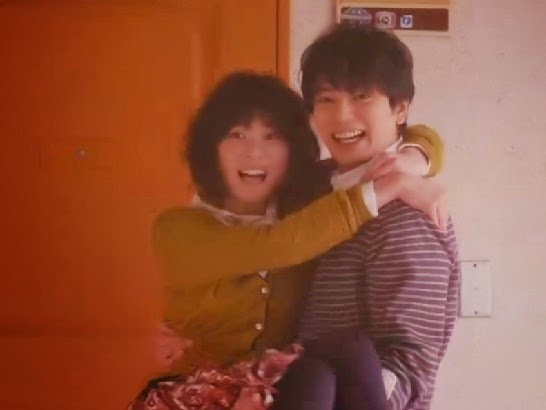 But picspam aside (seriously, I think it's getting impossible for me to do a Jun post without making it a picspam these days), the movie was actually full of merits. 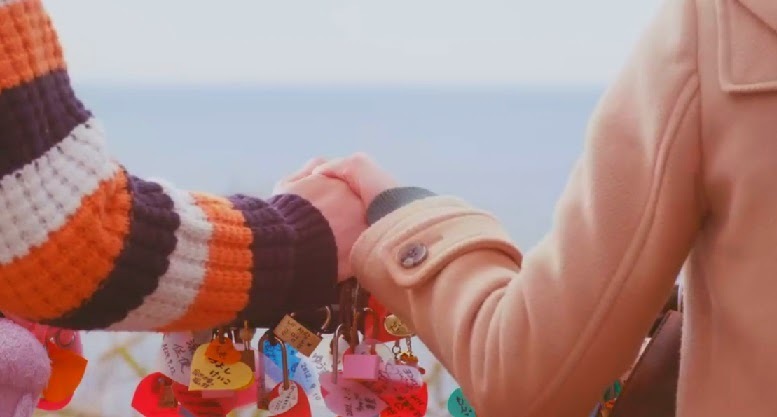 The plot was simple and sweet (the best kind of romantic plots always are), and its predictability did not detract at all from its enjoyability. It's one of those stories that are intensely character-driven, where the emotions alone pack enough of a punch to sustain us even though we totally know how it's going to end. 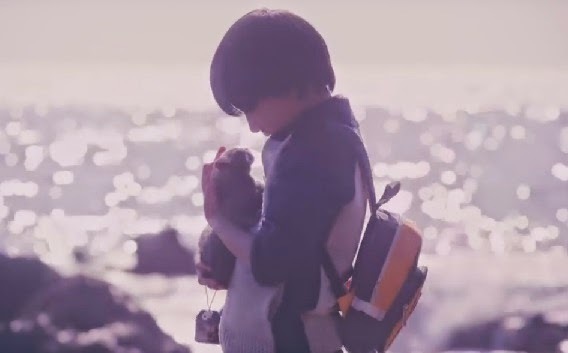 I loved the exploration of that tender bond shared between Kosuke and Mao from the moment they first meet on the rocky shoreline through their middle school days. 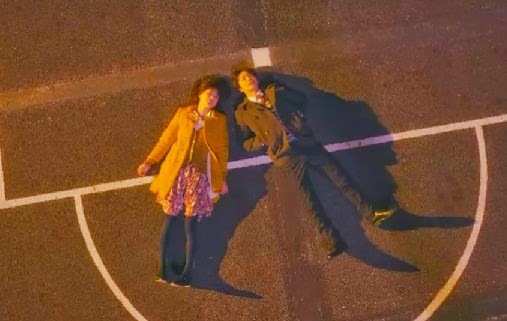 Not only were the actors portraying the young versions of Jun and Juri totally cute, but the film editor-san just had to dye every scene they had with a nostaligic lavender hue that makes every word they say sound ten times dreamier than normal (like, how the hell can they be so deep in middle school? I spent my middle school days finally discovering what all those jokes in Friends were actually about...). They were both so lonely, but took so much joy in just having each other, that it broke my heart. My poor poor heart, what is this movie doing to you? Middle school Mao and Kosuke. The grown-up versions are just as sweet. 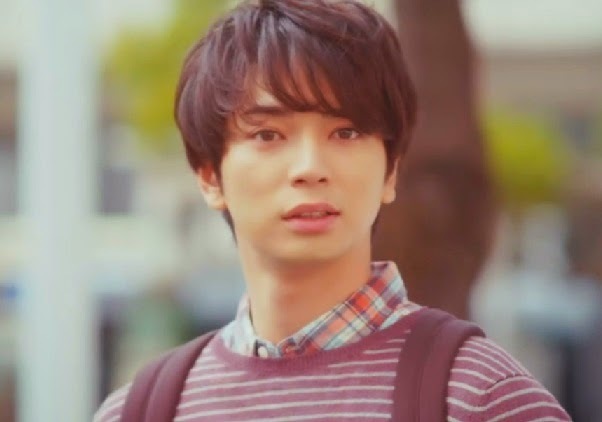 We have the rather awkward Kosuke who is late for work, messes up data, and can't work up the nerve to ask a lady out until she's already engaged to another man. Throw in Suda Masaki as his bed-hogging slacker otouto, too! 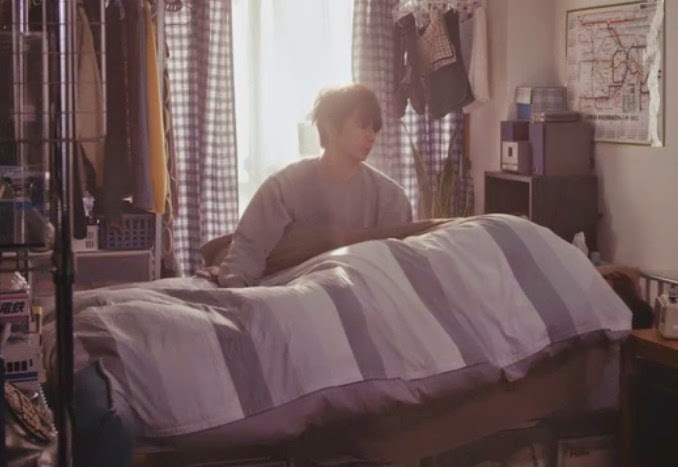 Someone really needs to gif that first scene with Suda where they're in bed together and the blankets are moving as though something naughty is going on. I know my brows shot up at that (like, wait? 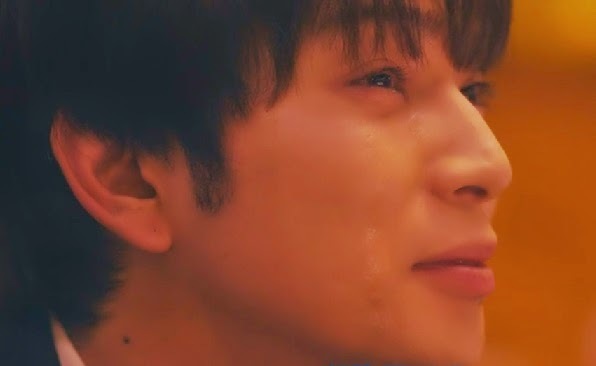 Is this going to be like EitaxJun in the Lucky Seven SP hotel scene? ◔◡◔). Kosuke's whole "no-good-with-women" image would have been a lot more convincing if Jun was not as damn fine and perfect-looking, of course, but that's me splitting hairs here. is drunk and wormed his way into his bed again. Oh, and whoever it was that decided Jun needed a backpack for work deserves a gold star. As does his hairstylist. Like seriously, those bangs with those eyes... *shot through the heart*... 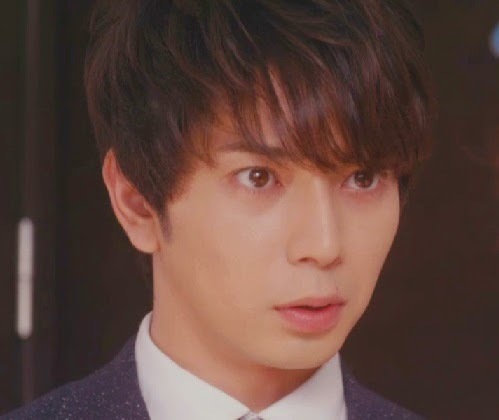 I usually have a thing for eyebrows, and I love seeing Jun's in their full glory, but in this movie, I'm totally okay with them being covered teasingly with that chocolate-hair. It makes him look so gentle (omg 草食系潤!!). "I told my father I had to comfort a heartbroken friend." GAH so playful and cuteeee! The BGM here was also spot on! Then there are all those sweet couple-y moments that sent warm fuzzy feels from my head to my toes. This movie was shameless about capitalizing on sweet-couple-y moments. Not that I minded. 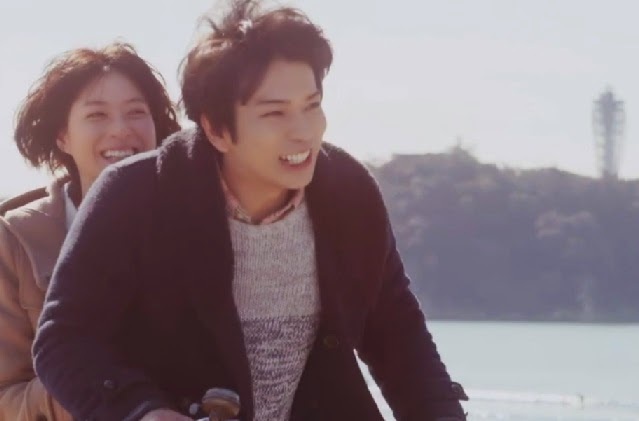 I'm a sucker for Jun looking happily in love even if it's not with his hubby Sho or his pet Aiba. Carrying the Princess to their new home. I want to marry Jun too!!! Naming goldfish after the Beach Boys. One goes missing soon. Who wouldn't want to go hunting for racy ads with Jun-kun? She prepared a Christmas tree for their first (and only T_T) Christmas together. 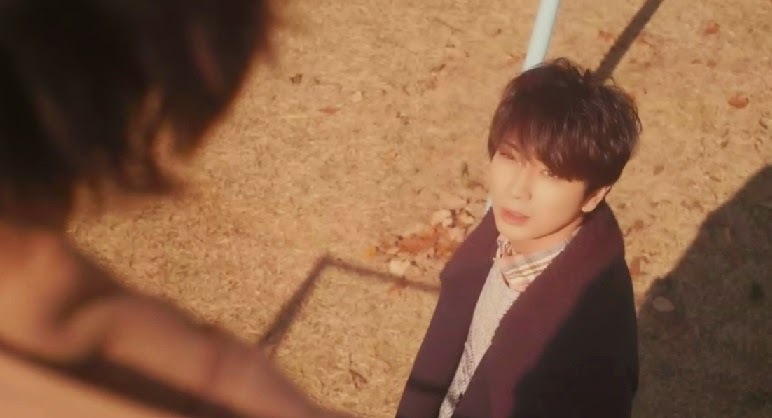 MatsuJun killing those romance lines, nbd. And what made this all the sweeter was how very heartbreaking it was by the time you get to the end. 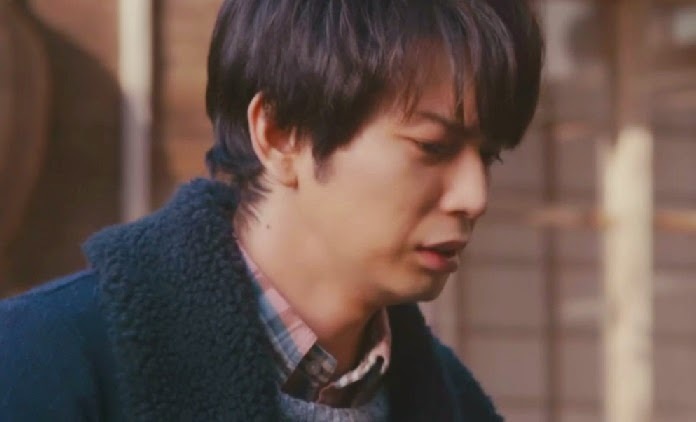 Oh yes, Jun, we feel your angst. 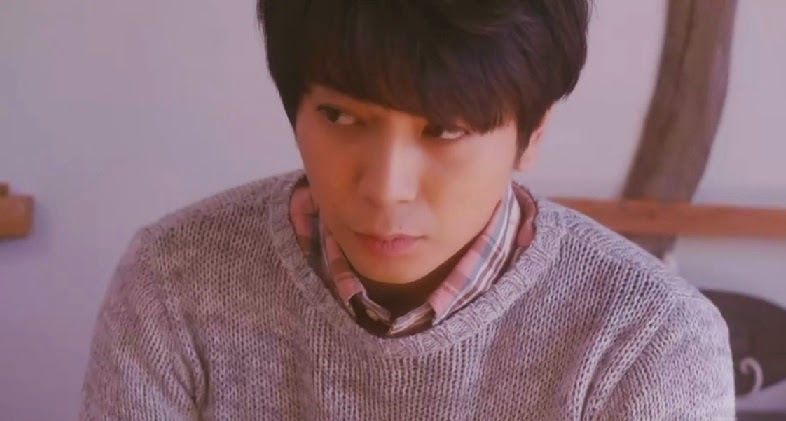 obscuring Mao, that look in Jun's eyes! Omfg perfection. Sigh. ❤ Forever. From one lifetime to the next. I think I'll actually order the DVD for this one once I regain some kane. Wallet still bleeding from Johnny-san's massive attack recently. But no regrets. What's money for anyways, right? like I said on Twitter, I can't wait for my DVD to arrive!!! I was sighing and looking all moony when I was watching this on the airplane that I caught the steward giving me a strange look lol and since it was a short flight, I had to fastforward!!! I love the color grading and the musical scoring! just perfect!!! This whole movie was so sweet and sad and nostalgic all at once. I can't even put into words how much I love it. I just want to tuck it safely into my heart so that no one can touch it because it really is that perfect. I was reduced to tears and crying and beautiful heartache, and I suddenly had no words to describe it other than "beautiful." It was beautiful, everything was. Cinematography, music, Jun, Ueno Juri. 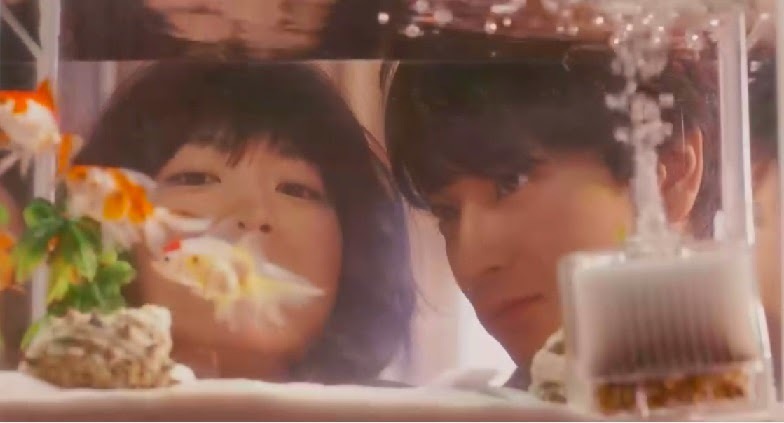 Their dreamy scenes together as a married couple (the toothbrush scene, omg). And towards the end, those last few scenes. How can heartbreak be so beautiful (and promising). In love w/ the film. 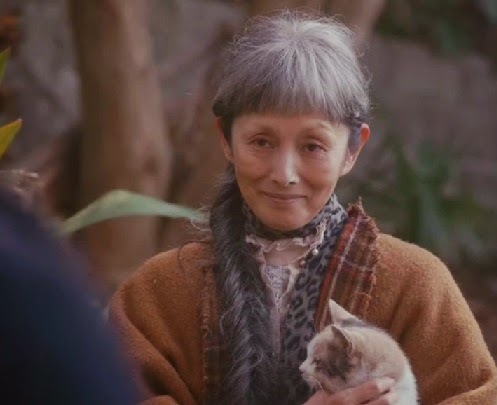 I completely agree that this movie was beautiful <3 It was romantic and full of mystery, but in a light, wistful sort of way... very bittersweet T.T But also very very beautiful. And the toothbrush scene! I thought that was adorable too! Where can I watch this with subtitles?? I've been DYING to see this!!! I cried watching previews!!! Where did you watch the movie with the chinese subs? PM me on lj or twitter if you still need it! I watched the preview and got baited. Now after reading your review I'm obsessing about it. There must be an English-subbed DVD on Amazon. OMG! I can't got to sleep. This movie was beautifully romantic. I have heard from other fans that there was an official DVD with Eng subs released, so hopefully you can find that on Amazon. It shouldn't be too hard. Definitely watch it! It's worth all the tears.